I’ve always been a lover of the outdoors and bringing nature inside, but a dear friend and her kids have taken it to a new level. 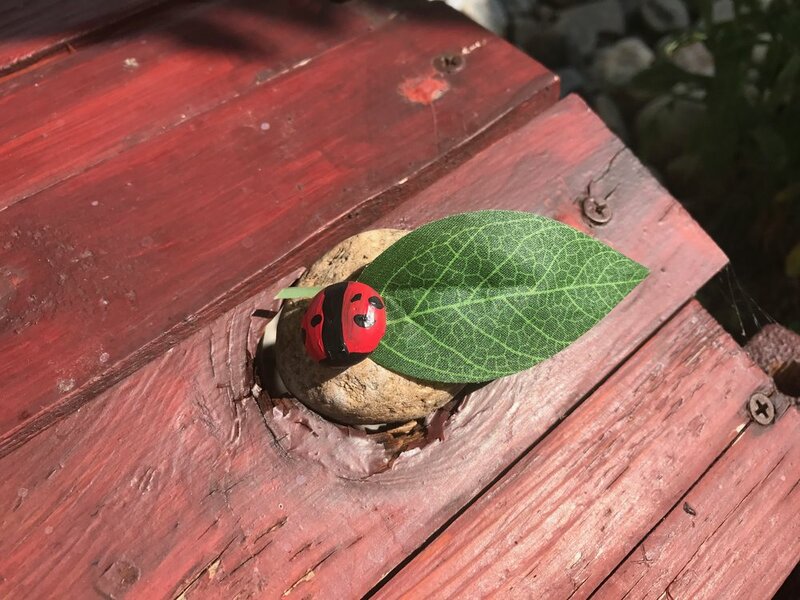 They’ve been painting rocks for a number of years and I have absolutely loved getting these special personal gifts from her kids. I really do cherish each of them, the girls and the rocks! To me, their transformation of this basic landscape nugget is a symbol of our unique and special relationship that I am oh-so grateful to have. Most people know that my husband and I don’t have children and our beautiful nieces live far away. 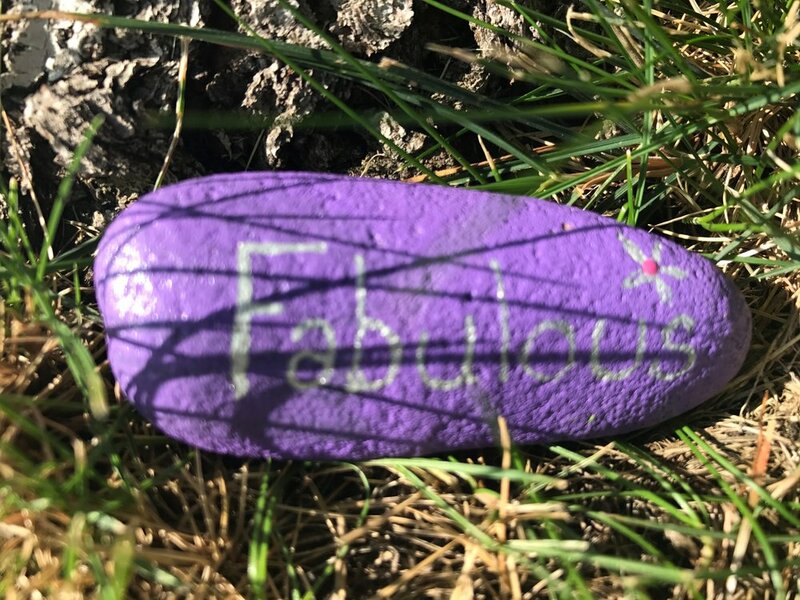 So these rocks, these small simple painted rocks, from these girls that feel like family give us a warmth and fill our hearts. They are usually given along with a message like; ‘I’m thinking of you’, ‘Happy Birthday’, ‘Congratulations!’, or ‘Get Well Soon’. They are a colorful, meaningful, and tangible visual of how my friend has helped nurture the relationship between us and the girls from the time they were born. The meaning of these rocks goes well beyond the precious relationship I have with this friend and her kids. Recently they spent an afternoon with another family in the neighborhood painting rocks to offer as a gift to many others. After they had a heavy bushel-full of these brightly colored treats, they went on a 2-3 mile walk and strategically placed them around the neighborhood! These rocks mean empathy, giving, openness, friendship, relationship, and as one set clearly says, LOVE. They mean parents who are teaching their kids to use their hands and creativity for others. Showing them that a small gesture can bring joy and surprise to someone’s day. After living in this neighborhood for 14 years, I am so lucky to call the mother of these two beautiful girls a dear old friend. We have both weathered a lot of joy and sorrow in that time. The rocks I’m so fortunate to have on display in my home are just a few examples of how her and her girls have been there for me all these years through celebration, triumph, sickness, and adversity. The girls are getting older and will, far too soon, be more interested in friends and going out than creating these special symbols of ‘I’m thinking of you’. Though I give them hugs and let them know how much I appreciate them, it’s hard to find the right words when ‘Thank you’ simply isn’t enough. To everyone who has children or are close to a child in heart, I hope you have an opportunity to hug them close, let them know how much they matter, and tell them that you appreciate them for who they are and how grateful you are for their gestures of kindness and giving.